Netfix’s new series starring Kyle Chandler has a name – Bloodline – and a haunting teaser trailer. The series, which premieres all thirteen first season episodes on March 15, 2015, also stars Ben Mendelsohn (The Dark Knight Rises), Linda Cardellini (Mad Men), Sam Shepard (The Right Stuff), Sissy Spacek (Carrie), Norbert Leo Butz (Dan in Real Life), Jamie McShane (Sons of Anarchy), Jacinda Barrett (Suits) and Enrique Murciano (Without a Trace). Bloodline comes from the producers/creators of Damages, from the producers of Damages Todd A. Kessler, Daniel Zelman, and Glenn Kessler. Check out the teaser following the jump. After a slow start, I found myself falling in love with Season One of FX’s Legal drama Damages, it fell off the rails in Season Two, what will Season Three be like? Generally speaking, I hate most Legal Dramas, but Damages was different, it wasn’t so much about the individual cases it was about what lengths chief Legal Eagle Patty Hewes (Glenn Close) will go and who she will step on to win a case. The irony is she wins her cases without ever going to court. Do they even have a courtroom set on this show? The show’s use of flashbacks worked well and was appropriate for Season One because we didn’t know who any of these people were, so telling us how they got to that point seemed appropriate. In Season Two the flashbacks were unnecessary. In Season Three they are now doing “Flash Forwards,” now it feels forced and gimmicky. TELEVISION REVIEW: Michelle says Damages Season Two is well, um… Damaged! Ok, this is a bit awkward; the fine folks at FX Networks recently discovered our little corner of the web and sent me an email saying they would love it if we started covering their stuff. I was like, hecks yeah (I’m trying to cut back on my profanity). I loved Damages last year, everyone raves about The Shield, Nip/Tuck and Rescue Me, three shows I’ve never got around to watching. So it’s ironic that the first screener they send me is for Damages, Season Two. I watched the first three episodes earlier this year and simply forgot about the show. FX sent me the most recent 4 eps, so I had a little Damages S2 Marathon yesterday and I’m just not feeling this season. It’s trying too hard to be “complex,” instead it’s just boring, emotionless and just a bit convoluted. I watched all of Season One in one all day marathon. It started off slow but by the 4th episode I was hooked. It’s flashback/flash forward method of story telling finally sunk in and I was able to just go with it. The reason the first season worked so well is because it focused on characters we could care about – especially the wide-eyed young law school graduate Ellen Parsons (Rose Byrne) as she slowly gets sucked in and corrupted by big time, smooth talking, ballsy lawyer Patty Hewes (Glenn Close) and her weasel associate Tom Shayes (Tate Donovan). The season started off several months ahead when she’s accused of murder and flashes back to how she got into that situation. I found her “decent” to be a little fast, but she was caught in the middle of a Tigress and her battle with billionaire Arthur Frobisher (Ted Danson). When Pattie sinks her teeth in you, the only thing you can do as Frobisher says is “bend over and take it.” It was fun to watch because this became a personal battle and Danson and Close, showed a lot of fire and vigor in their confrontations. I cared about the case and all the people involved. Season Two follows the same flashback/flash forward structure as S1, only this time the story and the case doesn’t support this. The issue with S2 is the case isn’t interesting none of the new characters are worth following. There’s no personal connection to anyone. The show spends the first two episodes with Patty puttering around the office aimless trying to decide what to do next, after her landmark victory over Frobisher. When a mystery man from her past Daniel Purcell (William Hurt) is accused of murdering his wife Patty decides to take his case. The case then leads to a confrontation with a ruthless West Virginia (they keep making the point that he’s from West Va) billionaire Walter Kendrick (John Doman) who is somehow destroying the environment during some merger. The plot is even further muddled because Ellen is rightfully angry over the events from S1 and is now working undercover with the FBI to get Patty. This year’s story just isn’t interesting and there are too many “supposed” twists, intrigues, double crosses and characters they didn’t properly establish who are taking a major role. There’s some weird black guy who apparently may have been a politician at one point and is now some sort of power broker pulling all the strings. There’s some weird thing going on with a car and gps for “drops” or whatever to a “rogue’ energy trader who is a cocaine addict and his prostitute girlfriend who is going to school and in a custody fight with her kids. The FBI is double crossing each other. Ellen’s new boytoy Wes Krulik (Timothy Olyphant) isn’t who he says he is, Patty’s husband is cheating on her and getting ready to double cross her. It’s just too much and there’s no one you can care about anymore. Of course the people doing the crimes for these rich folks are dirty cops, who are now trying to cover their tracks. Did I mention how much I’ve never liked William Hurt or Olyphant as actors? This season so far is a mess I’m going to continue watching to see where it all ends but so far it’s been a very disappointing and amazing drop in quality for a show that had such a stellar freshman year. Damages airs on the FX Network, Wednesday nights at 10pm. You can catch full episodes on the web at FXNetwork.com. 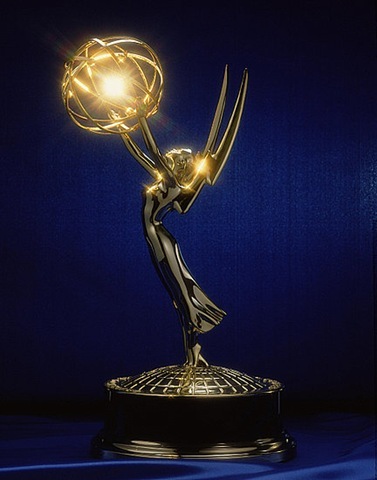 TELEVISION: The Emmy Winds Are Changing!